CHECHESMITHNATION : Coming Hair CEO, Annie Idibia Sported up in New York! Coming Hair CEO, Annie Idibia Sported up in New York! 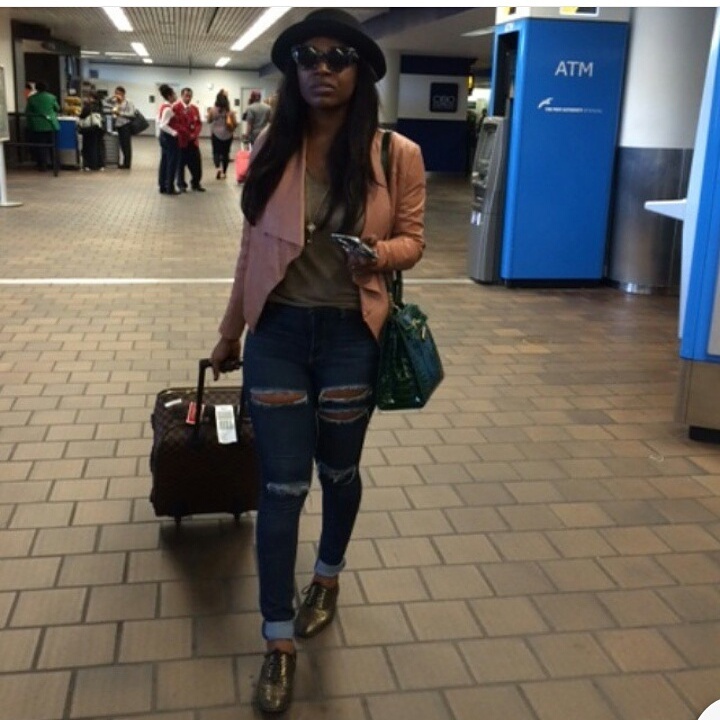 Hair-line 'Beolive' coming CEO Annie Idibia, was sported up in New York looking so chic and business minded. We here, her trip has a lot to do with the production of her 'Beolive' Hair products and stuff...Well, we are much more into her fab style here, the mother of two is such a smart chic and we are loving her slightly ripped at the thighs and knees blue jeans, oxford flats and the trendy fedora hat.